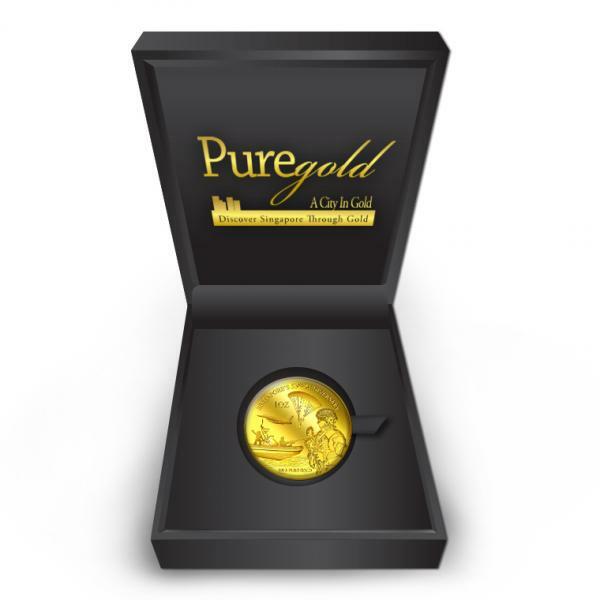 enjoying our successes as well as helping one another through challenges together. 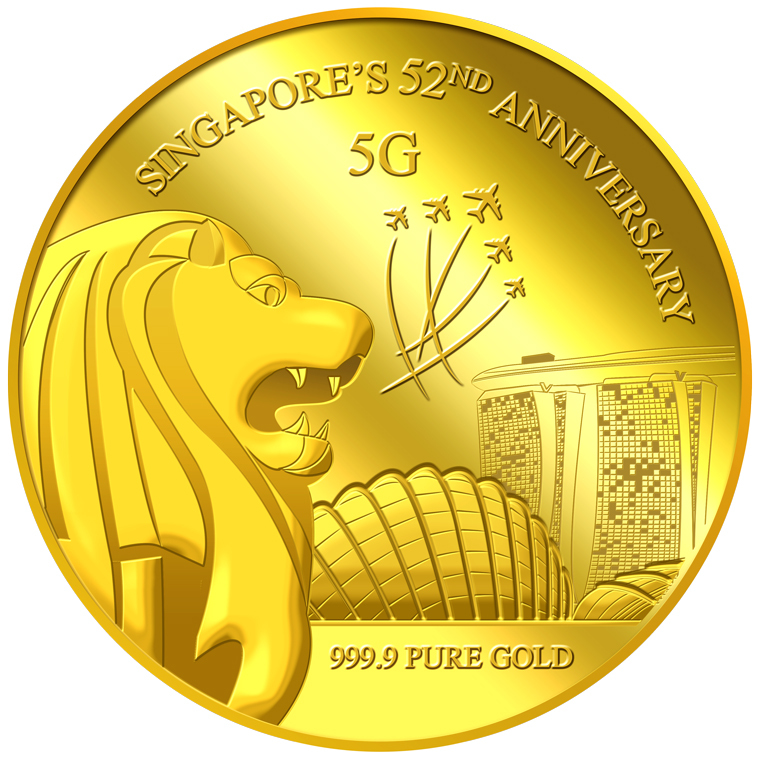 The celebration at the National Day Parade is never complete without the Singapore Armed Forces’ combined army, navy and air-force march-past. 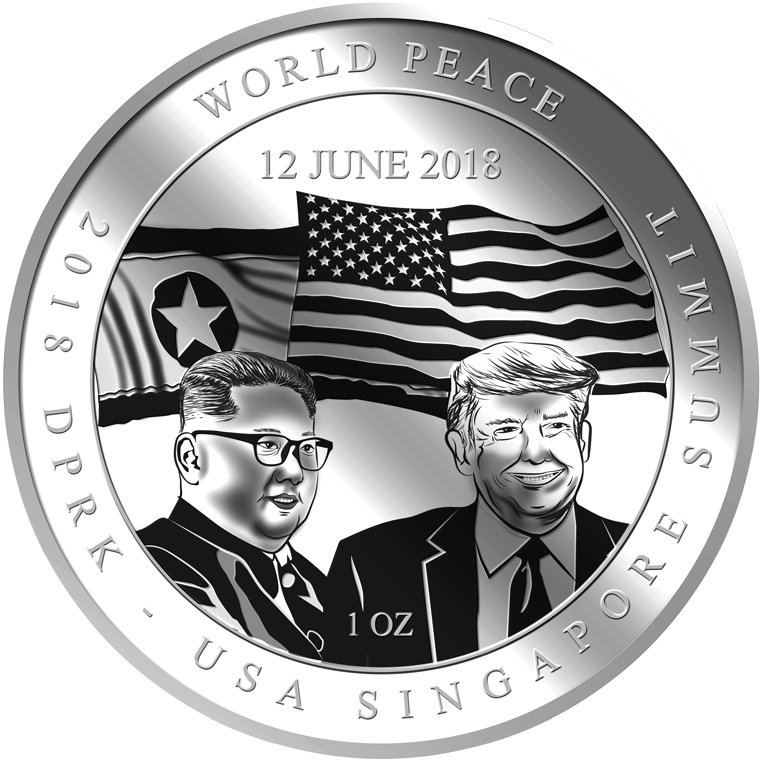 The military march-past is always one of the highlights at the parade that delights everyone. 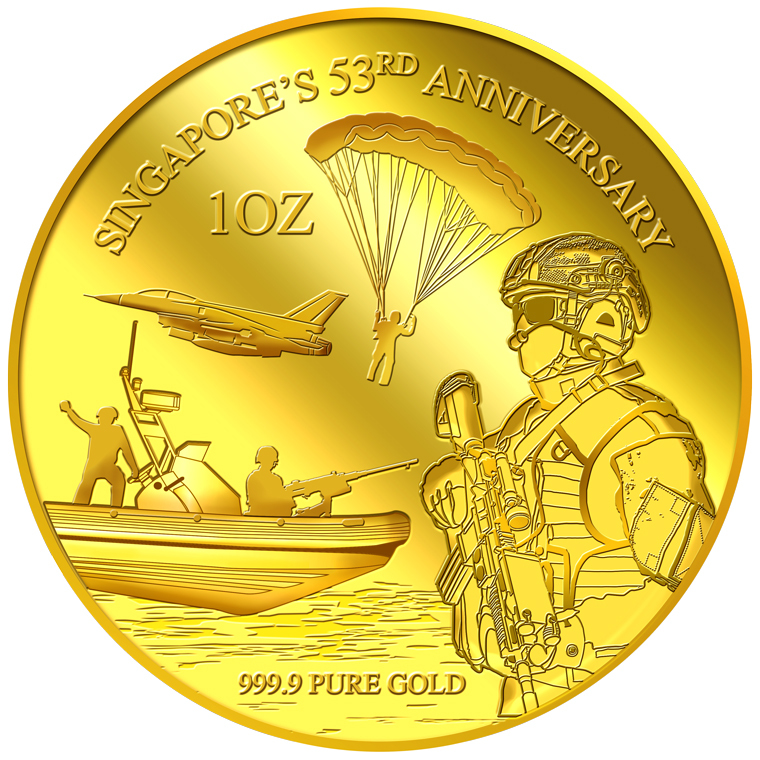 Most Singaporeans would havethemselves or family members served National Service and the NDP is a major annual event to honour the commitment of our military personnel. 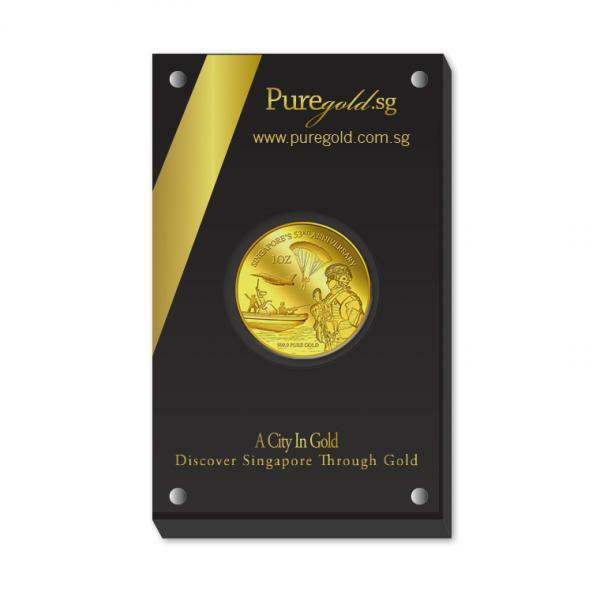 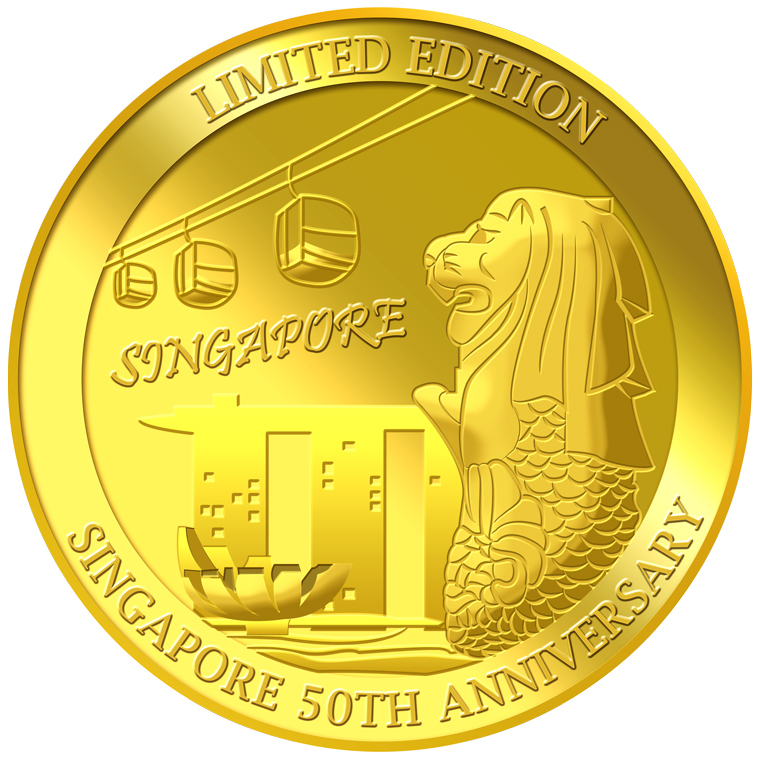 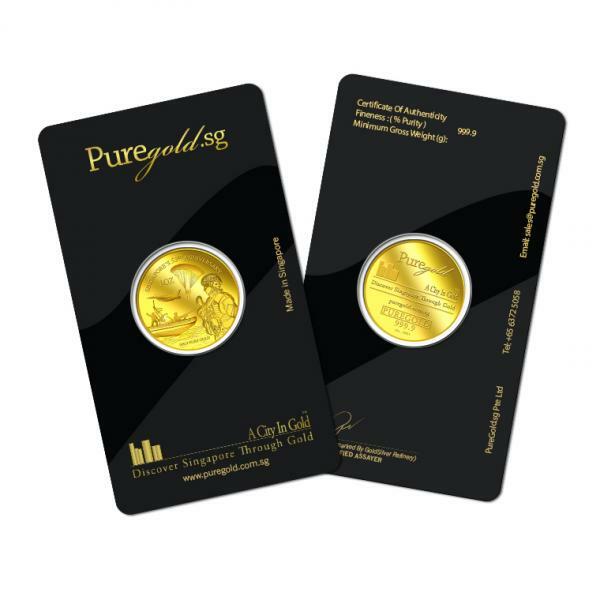 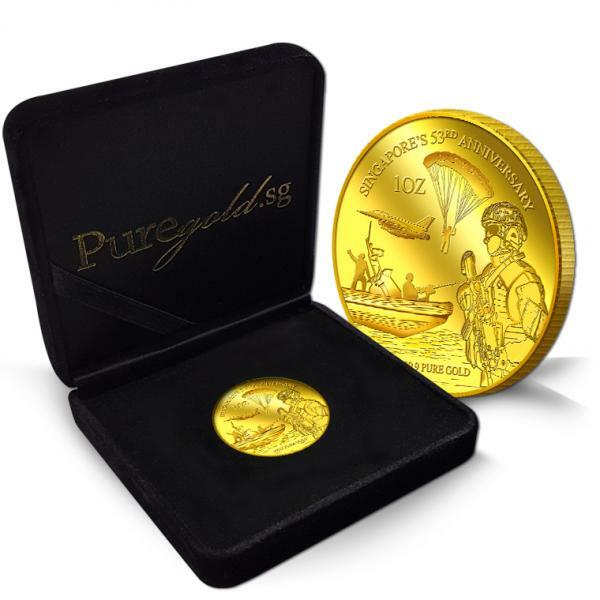 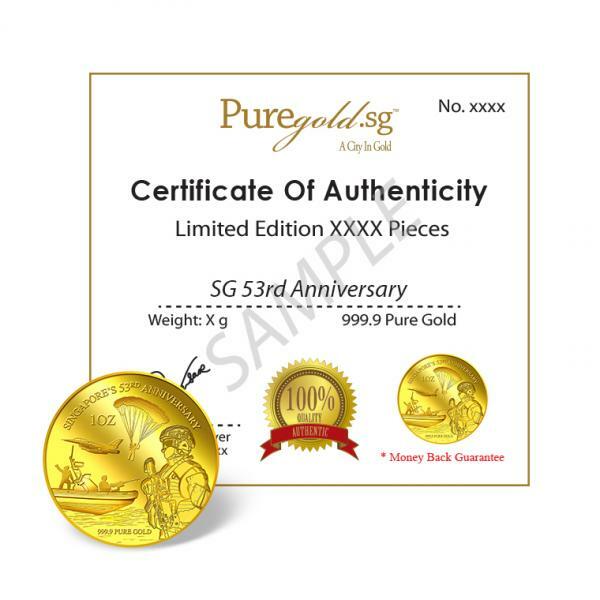 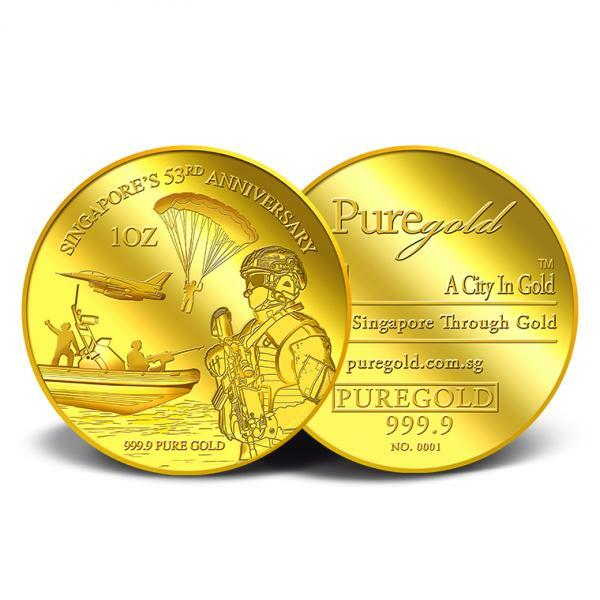 The image of Singapore’s army, navy and air-force personnel on PureGold.sg’s SG53 medallion is our recognition that they have contributed and sacrificed much for our nation’s security, stability and progress. 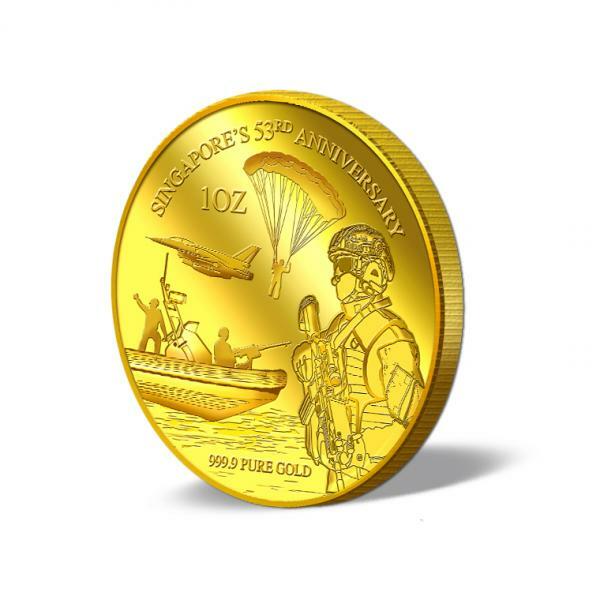 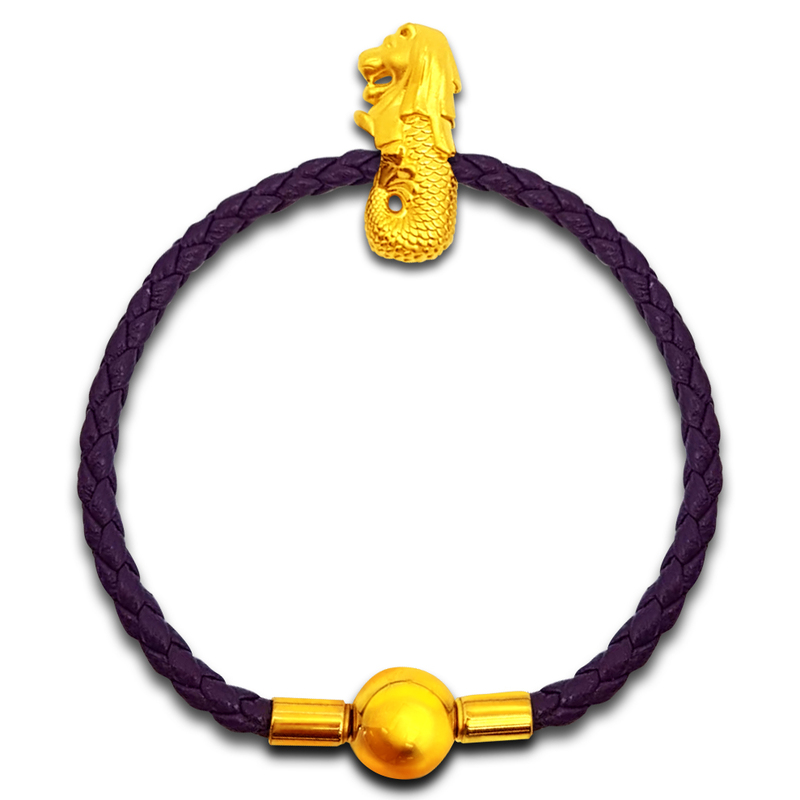 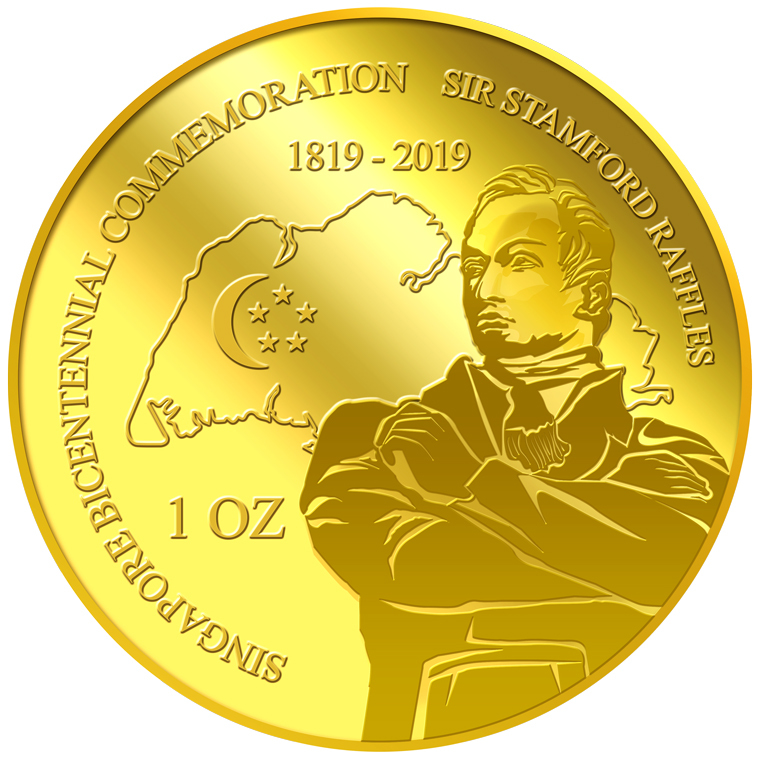 The image of the army, navy and air-force is embossed on a 1oz 999.9 fine gold medallion.